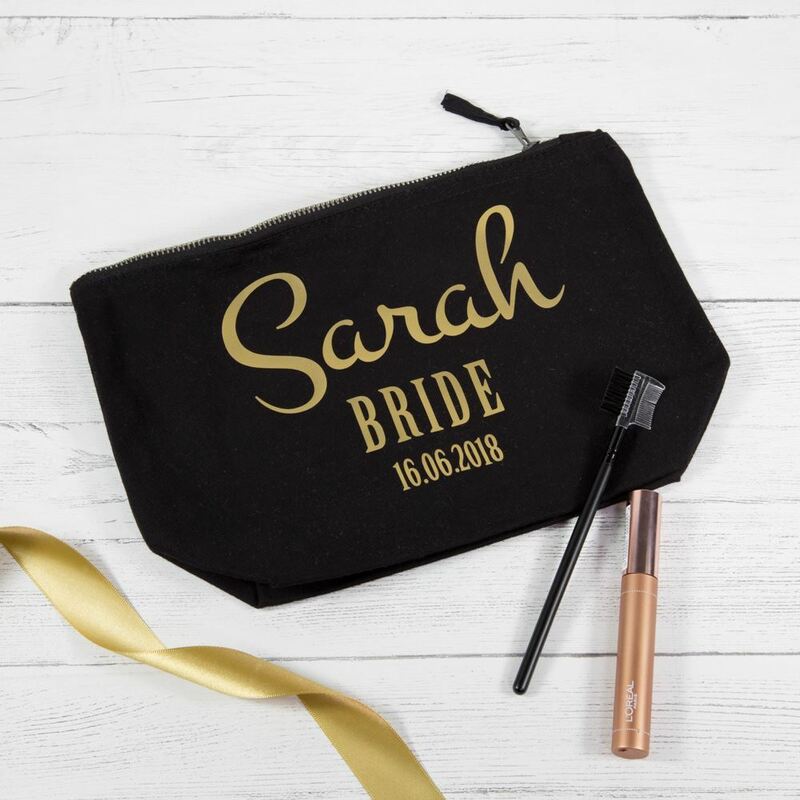 Our personalised wedding party make up or cosmetic bags are perfect for the morning of the wedding or for your overnight bag if you are staying at the venue. 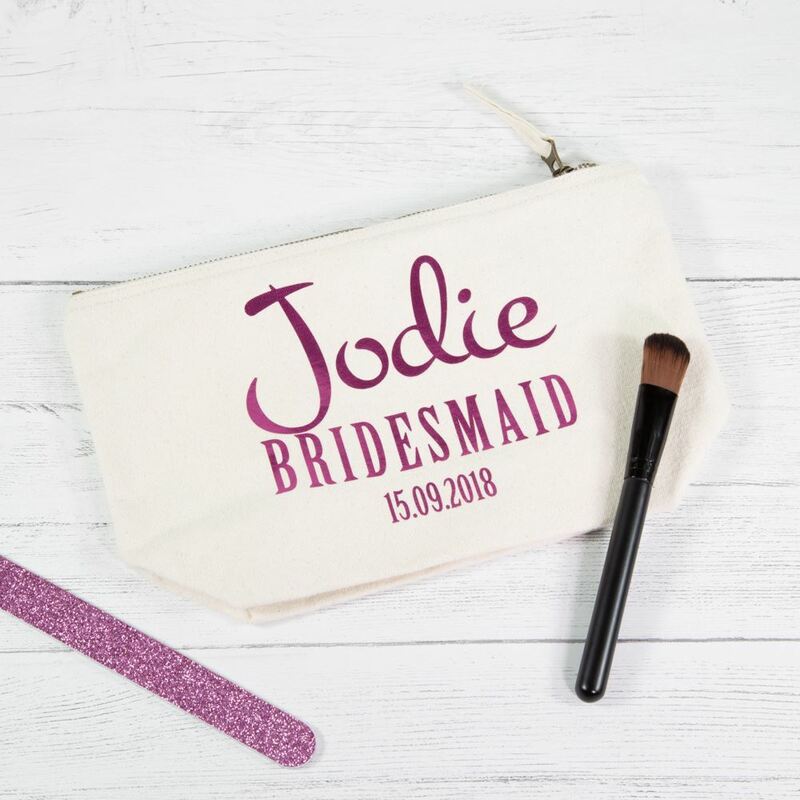 Our personalised wedding party make up or cosmetic bags are perfect for the morning of the wedding or for your overnight bag if you are staying at the venue. 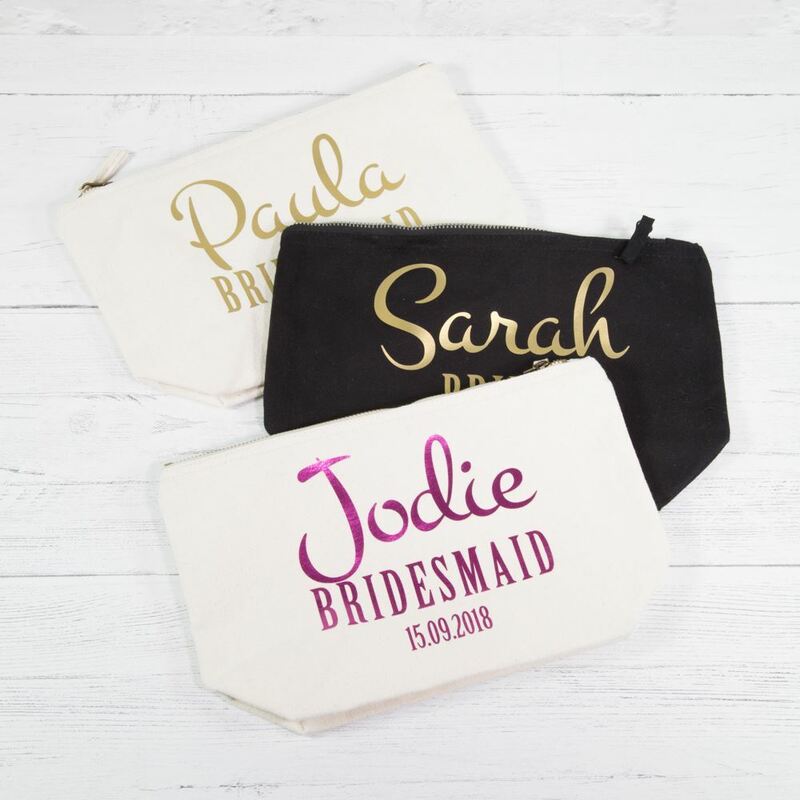 Large enough to fill with your make up or toiletries, they come personalised with the name, title and date of the wedding. 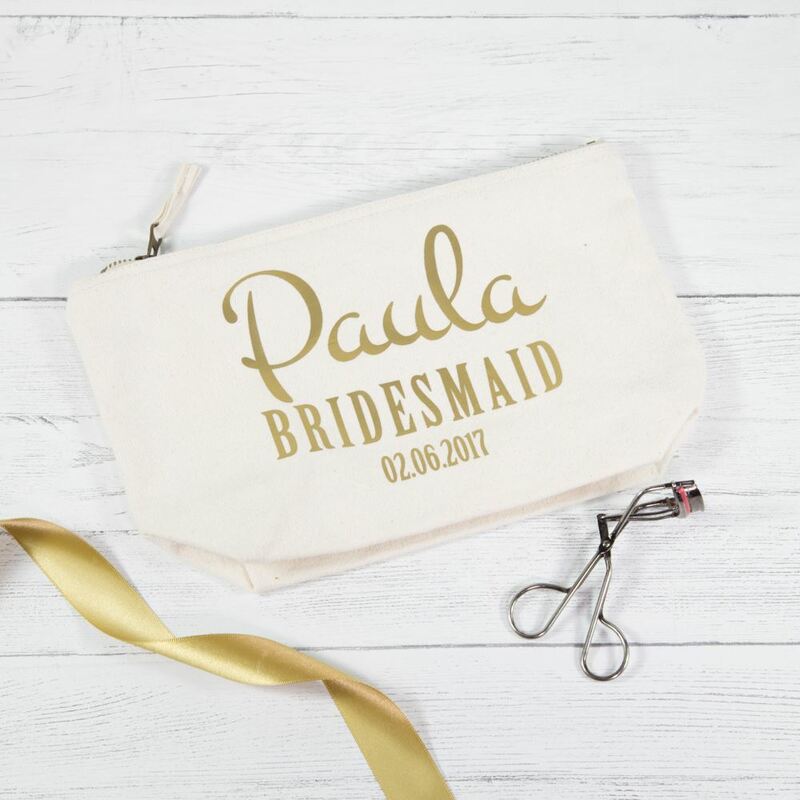 These also make a great keepsake or wedding gift for your bridal party. The bag measures 28cm x 18cm x 9cm. 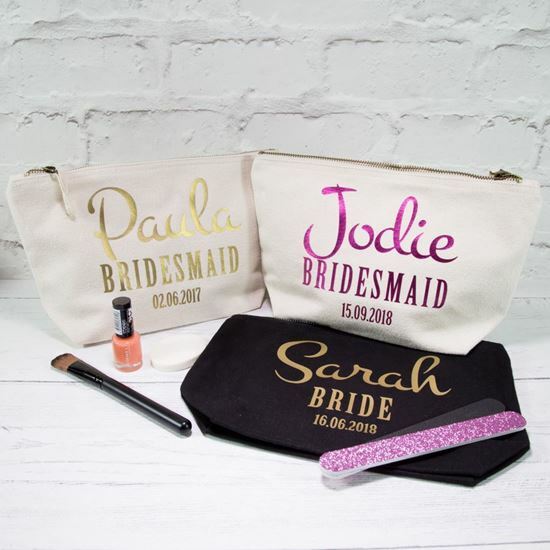 PLEASE ENTER THE NAME, TITLE AND WEDDING DATE IN THE COMMENTS BOX WHEN YOU ORDER.